A job interview is considered as the second phase for obtaining a job. It is a session where the job questers are to impress the recruiters in order to gain a job. Whether you make up or break the opportunity given to you depend on the performance that you present in the interview session. Interviews can be one to one, or meeting a panel of recruiters, or spot assignments and many more. Before stepping out for an interview, it is important to know the various categories of interviews and also ways to prepare for them. Make sure to prepare for the appropriate interviews with industry knowledge, pleasing personality, punctuality and more. The following information on interviews can be beneficial for fresher’s and graduates hunting for jobs. 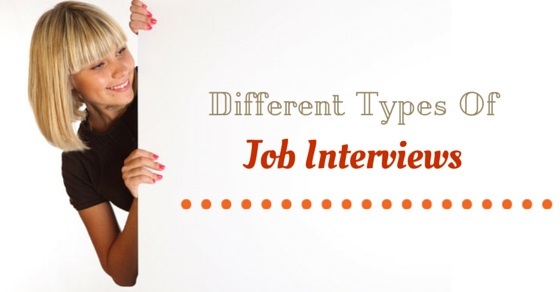 Let’s glimpse through the different types of interviews and ways to prepare for the same. Get prepared and make your voicemail professional and also remember to put your family name for it. Inform all family members and educate them to handle the call professionally. Since body language is absent for this interview, remember to open up your confidence as well as enthusiasm with proper verbiage and tone. You must have sent your resume to an organization and so make sure you to receive a call anytime. May be weekends or during you watch your favorite movie, be conscious about any calls you receive. You can also get prepared by making a research about the company so that you can handle the call with ease. Make sure that you have the conversation with the recruiter in a silent place. In case you have noisy children around or barking dogs do relocate and continue with your telephone interview. Make sure to use 3 or 5 minutes for explaining stories for the questions. Have eye contact for any discussion that happens in the interview process. Focus and recollect on projects and scenarios which fall into the numerous situations that recruiters would ask for. Job questers should be able to describe the situation they handled, discourse about what actions they took, and also correlate with the output they received. They can also mention about how they were educated from that scenario. The structured interview is again another session of interview where here, the candidate is questioned again and again many times. The recruiters look out if they are dedicated; possess team spirit, personal characteristics, who they are, if they have leadership skills. Preparation for the interview with appropriate interview answers is essential. Hunt the sites and also research for most common interview questions and answers for preparation. It would also be good to develop questions in advance for such interviews. It would also be useful if the job seekers get to know the format and purpose of structured interview well in advance. The candidates should practice well about the various case studies well in advance. Seek the help of a friend or a counselor and gather the various cases available free. During the interview, feel free to ask the recruiter in case you have any queries. Your questions can impress the interviewer too. Once case is offered to you, you can ask the interviewer for few minutes to arrange your thoughts regarding the case. Don’t forget to exercise with diverse category of people so that you gain experience for different kind of cases, interview styles, problems, and solutions. The interview would be in a style where a situation would be provided and the candidate needs to answer. The scenario can be used to you or can be new, so explain the real fact to the interviewer. By this situational interview, personality and existing skill set can be judged. Here the candidate requires making a detailed study on the various situational interview questions and answers available online. This would help the candidate know more details and sample interview questions about situational interview. Senior executives are mainly recruited with stress interview as a regular one. The candidates are checked out about how well they are able to handle stress under pressure conditions. The recruiters are able to read their attitude, organizational skills, and creativity through this stress interview. There may be situations where candidates are threatened and lost hope but never give up at those moments. Try not to get insulted during an stress interview as recruiters would surely find ways to stress you and push to criticism. Also make sure that you are cool and professional through the complete interview. Be direct, polite and offer the right answer to the recruiter. An interview has so many stages in order to get to know the various faces and idea of the candidates. For the same reason each interview is handled by new recruiters and they do not share your details as they require knowing completely about you. So be alert and ask the recruiter about the role and responsibilities. It is really important to be honest in the second and third interview are considered important. Show the interviewer what you can contribute to the company. Try to recall data and review notes about the details that are required for the interview. Make a hunt on standard job interview questions and other related data. Hunt more information about professional dining etiquette before you start for a meal interview. Try to follow your recruiter in cutlery, eating food and napkin usage aspects. Avoid ordering alcohol and make sure that your mouth is not full while you speak. It would also be good if you avert ordering spaghetti or soup. Try to choose food which is moderately priced. So make sure you present yourself in a professional manner for meal interview. Prior preparation and information is required for meal interview. Getting to know about the restaurant well in advance can be a smart way. Remember your mobile is switched off and also engage the interviewer by asking him questions. Get to the place early and avoid talking too much in a meal interview. Make it a two way dialogue and present yourself in a confident and friendly manner. Always wait for the interviewers to sit down before you start to sit and eat. These eight categories of interviews are the gateways which help you reach your dream job. So performing for the same with prior preparation is mandatory. Almost all interviews have their own nature and require the candidates to hunt and learn more. Every interview should be handled with fresh enthusiasm as they decide the job offer for any candidate. Information is the only power which can be used for all these interviews and hence utilizing it in the right way is advisable. Wear a positive attitude along with best clothes to make your first impression towards the recruiter. Anticipating questions, preparing for an interview, researching them are few aspects that job seekers do. Now with the detailed data of the different types of interview, candidates can prepare according to each interview and reap success.